“A gaping divide” in gender parity exists at both traditional and newer news sites. Male bylines outnumber female bylines by two-thirds “even in coverage of issues of great importance to women,” notes the WMC report. Women own nearly seven percent of U.S. commercial television stations, make up almost 30 percent of television news directors, 32.7 percent of the radio news workforce, nine percent of the directors of the top-grossing 250 U.S. films of 2012, and 18 percent of key behind-the-scenes roles. Women directed 15 percent and wrote 30 percent of all television episodes in 2011-12. What about Black women in the media? 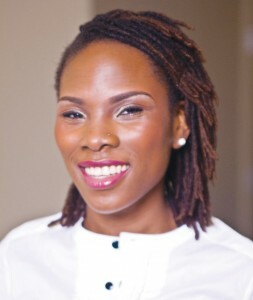 Chicago-based social media strategist Lovette “Luvvie” Ajayi, after reading the WMC report, told the MSR, “It is way worse” for Black women in the media. 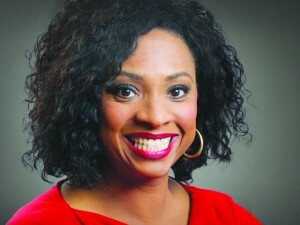 WCCO-TV News Anchor Angela Davis points out, “Black women make up a very small number when it comes to women in the media. We are discouraged right off the bat from going into the business, because it’s well known how competitive it is. “I must point out that our industry is a very tough one that requires a lot of skill and sacrifice,” Davis notes. Black women still are confronted “with the same obstacles — people tend to hire people who look like them,” says Howard University School of Communications Dean Jannette Dates. Former meteorologist Rhonda Lee was fired last November from a Shreveport, Louisiana television station after she responded to a viewer’s online comments that “she needs to wear a wig or grow some more hair” because of her short, tightly coiled hairstyle. Station officials claim Lee was let go because she violated the station’s social media policy. Since becoming an executive, Breedlove, the only Black female executive in Twin Cities radio, admits she has been viewed differently “by a lot of people in the community. 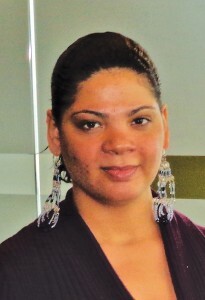 I honestly believe that first of all, I’m a woman, and then second of all, I’m a Black woman. ”In contrast to other area stations, KMOJ has a dozen or so Blacks at the station, including herself: “We have several ladies who work behind the scenes,” claims Breedlove. “We have to continue to push as much as we can,” says Dates.